India is not the first country that springs to mind in close associate with Poland, but links between the two nations are long established and growing stronger. Krakow’s Jagiellonian University, for example, has been teaching Sanskrit, Hindi and Indian cultural studies since 1894. Rapid economic development in Poland and India, and the mutual recognition that there is business to be done, has also meant the slow but steady development of an Indian community in Krakow. Mr Umesh Chandra Nautiyal was one of the pioneers of this community. Originally from northern India, Mr. Nautiyal has been teaching Hindi at the Jagiellonian University for 17 years now, and has become something of a pillar of the South Asian contingent in the city, though his natural modesty would insist that he deny it. What is undeniable is that Nautiyal was the founder of the Indo-Polish Cultural Committee (IPCC) in 2000 and has been its undisputed president ever since. I sat down with Umesh over a meal at Hot Chilli (still the best curry house in Krakow) to talk about the IPCC, India and Poland. “I was a kind of unofficial ambassador for India in Krakow for years. Whenever delegations or performers from India were coming here, they would give me a call first. Not that I was complaining – I got to keep in touch with India and meet some very interesting people,” said Umesh. 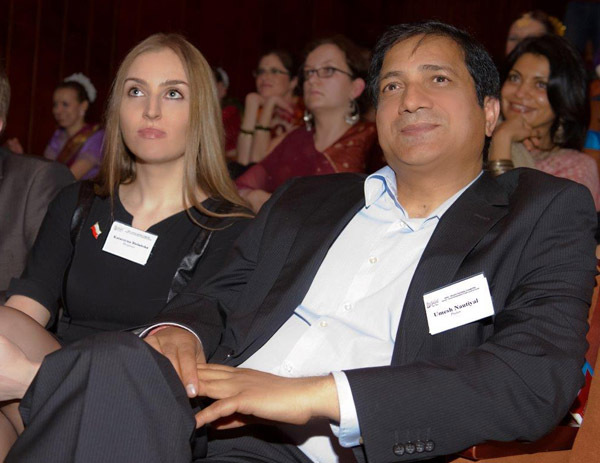 After organising a celebration of the Hindu festival of Diwali in Krakow in 2000, Umesh decided to put matters on a more formal footing by creating the IPCC. The organisation became a legally recognised NPO in 2003 and has been organising festivals and cultural events ever since. 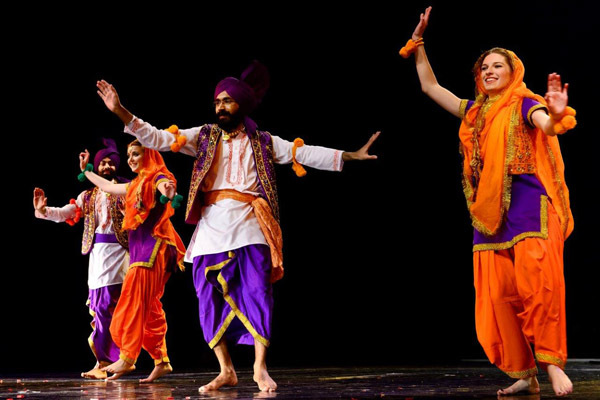 These have included visits from top-flight Indian performers such as Uma Sharma, a master of the classical Indian dance form known as kathak, and legendary classical flautist, Hariprasad Chaurasia. 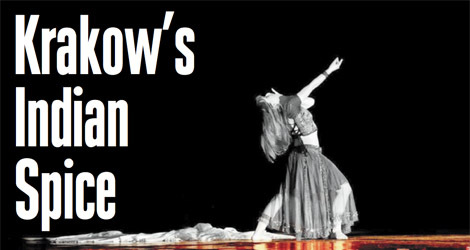 “Most exciting for me was the visit by kathak guru Birju Maharaj. At 75 years of age, he had more energy and enthusiasm than I’ve ever had!” smiled Umesh. The IPCC is a genuinely cross-cultural organisation, with both South Asian and Polish members, and now has branches in cities across Poland. One of its new vice presidents is local politician Katarzyna Bielańska, who has been very active in promoting cultural and business links between Małopolska and India. Commerce between India and Poland is not yet huge (less than two percent of Poland’s imports come from India, contrasting with over eight percent from China), but that looks set to change. The steel giant ArcelorMittal has been established in Nowa Huta since 2005 and is now an established part of the community. A very large Indian embassy is currently under construction in Warsaw, which will include an Indian Cultural Centre, and it is one of the IPCC’s goals to secure the funds to build a similar centre in Krakow. Umesh has many kind words for the Indian ambassador to Poland, Monika Kapil Mohta, who has been a great support to the IPCC and Indian businesses in Krakow. With a man of Umesh’s circumspection, it was never going to be easy to get to a frank discussion of the challenges facing an Indian living in Krakow. He did note that Poles and Indians tend to have very different approaches to family and social life, with Indians used to living an ‘open house’ lifestyle in which friends, cousins and business associates are free to drop in unannounced at any time – something Poles take some getting used to. Umesh insists that he has experienced only warmth and openness from Poles in the years he has lived here. “I think Poles and Indians get along very well. I have lived in a small village outside Krakow for years now, and my neighbours have always been helpful.” Charming and conciliatory to a fault, with Mr Nautiyal at its head, the IPCC will undoubtedly continue to cement Indo-Polish relations at the personal level. Of course Umesh ji is the great personality representing India and Indian culture in Poland.Every body from Delhi respect him. I was just going through the post on Mr.Umesh Katyal. It is wonderful to note how he has established himself as an unofficial ambassador for India and its countrymen. This was my first peep into Krakow-Poland, since my son would be travelling there shortly. It was heartwarming to know the presence of such a personality. My best wishes. Hi would be visiting Krakow in June to attend the trade fair. any one who can help us find good hotel and advise us during the stay.